Digitally remastered for enhanced sound quality Dream Theater, live from the Lazer 103 rock stage at Summerfest, Milwaukee on 29th June 1993. Caught in the (live) act during the first leg of their 1993 Music In Progress world tour, Long Island melodic rockers Dream Theater give a powerful and compelling performance at Milwaukee's Summerfest promoting their landmark second album Images and Words with the classic LaBrie, Petrucci, Portnoy, Myung, Moore line-up. Klondike proudly presents a fascinating document of an iconic band that at long last, had found their perfect frontman and was at the pinnacle of their career. 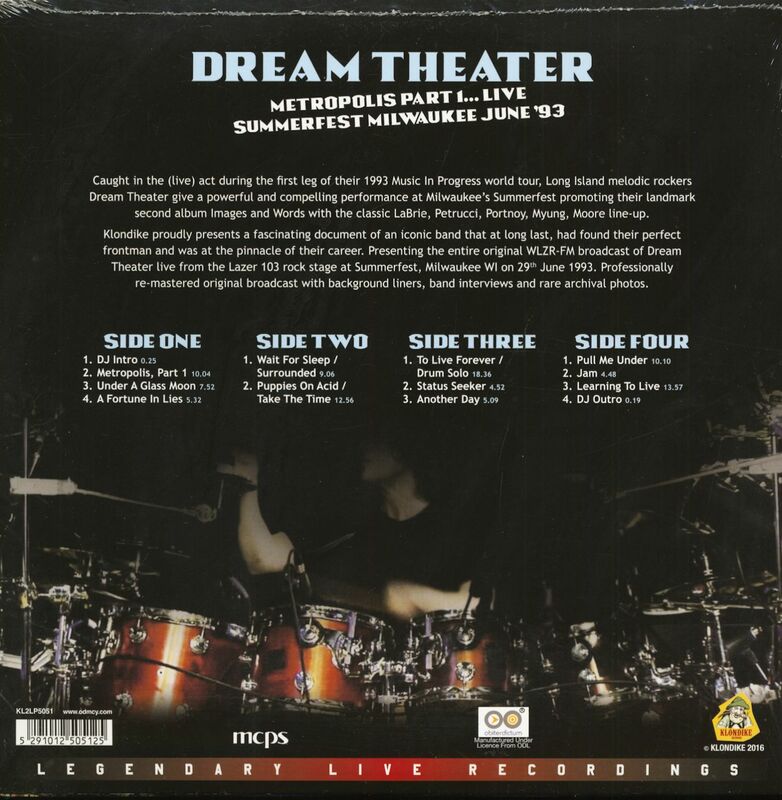 Presenting the entire original WLZR-FM broadcast of Dream Theater live from the Lazer 103 rock stage at Summerfest, Milwaukee WI on 29th June 1993. Professionally re-mastered original broadcast with background liners, band interviews and rare archival photos. 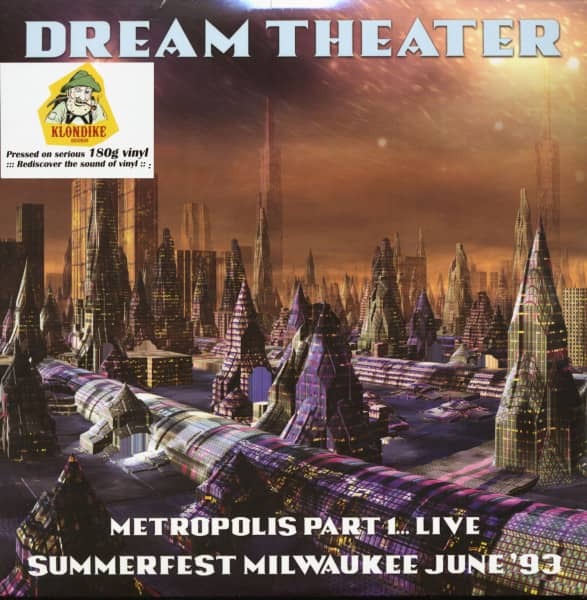 Customer evaluation for "Metropolis Part 1... Live - Summerfest Milwaukee June '93 (2-LP)"